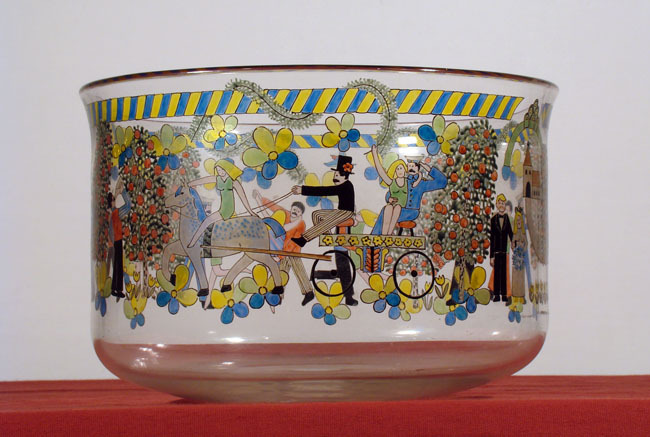 Items //// Glassware //// Glassware //// A Swedish glass with enamel decoration by Orrefors. Signed Gunnar Cyren. Ca 1968.